The Holidays are unimaginable without music. 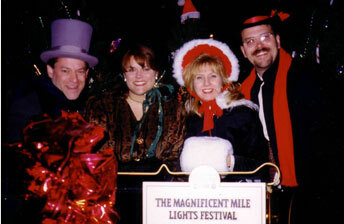 What better way to accent your event than to have an A Capella group of Carolers singing all the beloved favorites. Our incredible quartets blend music in a way that the listener is sure to believe they have musical accompaniment. Lucky for you, they don’t. That means they can fit into any size venue, literally. Dressed in either Victorian costume or modern Holiday garb, this group of singing merriment is sure to add that extra touch of mistletoe delight to every Holiday event. Bookings must be a two-hour minimum. Unusual costume requests considered with additional fee.